UnitedHealthcare and Tom's Take On Things want you to know what to do after you have your new health care plan. 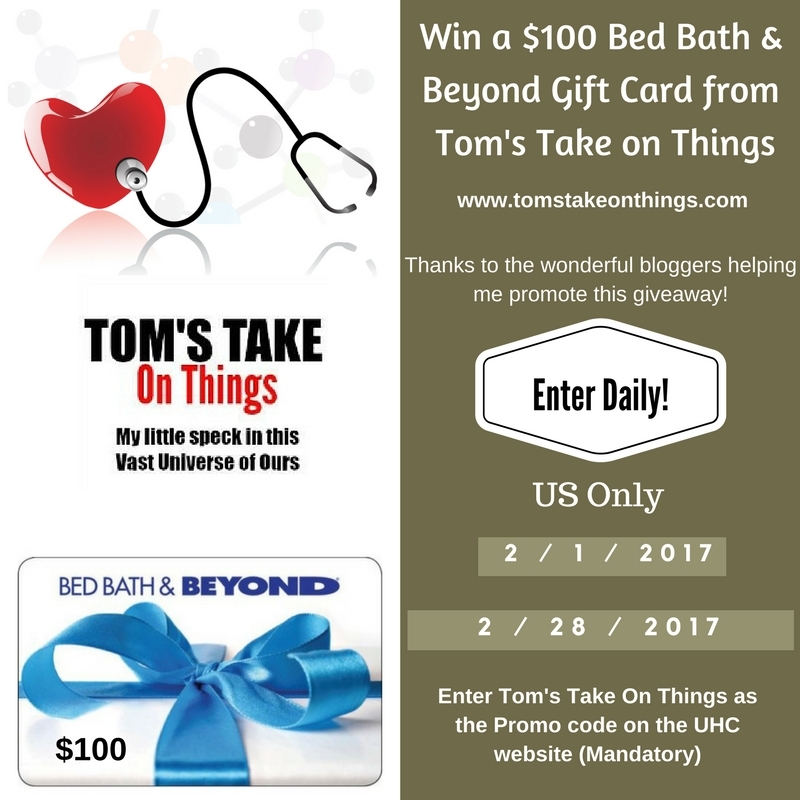 Check out the giveaway and complete the fun games to get your entries in to win a $100 Bed Bath & Beyond Gift card from Tom's Take On Things. In addition to that, with each fun game you complete, you can enter to win prizes from UnitedHealthcare as well, such as $100 weekly, or a $500 Monthly prize they are giving away as well. You can do all of these daily, to increase your odds! 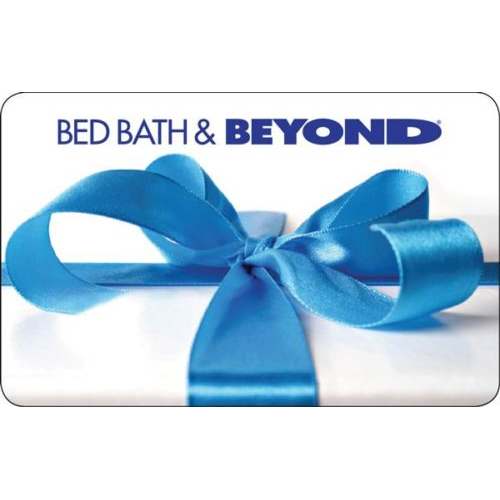 Reviewz & Newz and other great bloggers like myself are happy to help Tom over at Tom's Take On Things offer this giveaway for you to win a $100 Bed Bath & Beyond gift card. Giveaway is open to residents of the United States, 18 years of age or older. Giveaway ends 2/28/2017 at 11:59 pm EST. Participating bloggers were not compensated for this post. The winner will have 24 hours from winning email to respond. You must enter promo code: Tom's Take On Things in the promo code box on the Unitedhealthcare website for your entries to be valid. For a picture of what that looks like click here. Good Luck! Don't forget. You have to enter "Tom's Take On Things" in the promo code box for each game for your entry to count! Will be verified with the sponsor! Have fun and good luck from all of us! My deductible is important as well as keeping my doctor. The most important thing to me about my health care coverage is that I am able to see the Dr(s) of my choosing.